February 15th is National Gumdrop Day! The most popular flavors are cherry, grape, orange, lemon, and spice flavors like clove, cinnamon, mint, and anise (licorice). It is said that Percy Trusdale invented the gumdrop in 1801. 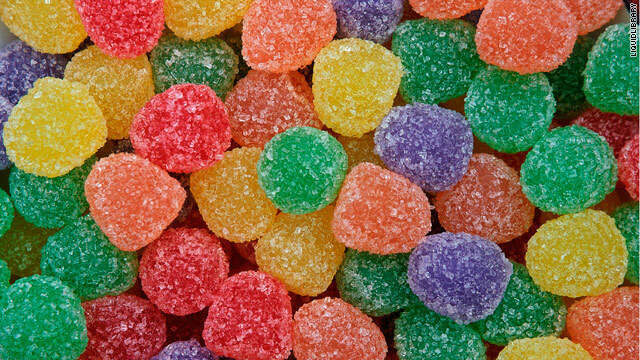 Originally, gumdrops were flavored with spices: orange (clove), yellow (allspice), red (cinnamon), green (spearmint), purple (anise), white (wintergreen or peppermint), and black(licorice). The NASA Apollo Command modules were nicknamed “Gumdrops” because of it’s conical shape. Branch’s Candy holds the world record for largest gumdrop which weighed in a little larger than 10 lbs.